For a customer this week, I had to create a WFA command (PowerShell) that was able to generate a new password and then store it into KeePass. This command is assuming that we use a "MasterKey" (=password). You can also work with a key file, windows user and combination of those. But this command is just with a MasterKey. Adoption to work with the keyfile is minimal. You need to install the module "PoShKeePass". You can find it on github. 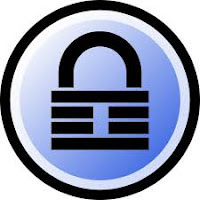 KeePass database profile : This works with a profile. first it's created and I've added a switch so you can recreate to profile if needed. KeePass group path : the internal path, within the keepass database (use '/' to go deeper). The root path is auto detected. if you leave blank, the root is used. Do not include the root in this path. $GroupPaths = $path -split "/"
Get-WFALogger -Info -Message "Root path : $rootPath"
Get-WFALogger -Info -Message "creating group $tmppath/$g"
Get-WfaLogger -info -message "Open connection to keepass db"
Get-WfaLogger -info -message "Getting keypass profile"
Get-WfaLogger -info -message "Removing keypass profile"
Get-WfaLogger -info -message "Creating keypass profile"
Get-WfaLogger -info -message "Check if entry exists"
Get-WfaLogger -warn -message "Entry already exists"
Get-WfaLogger -info -message "Generating new password"
Get-WfaLogger -info -message "Adding entry $UserName"
Updated a new version. Now, the grouppath is auto created.